Big Star only have one known professionally filmed concert, and it's due to come out this fall. 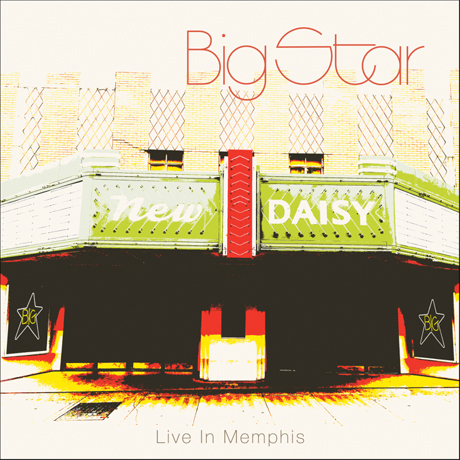 Live in Memphis was shot back in 1994, and it's coming out on November 4 through Omnivore Recordings. The 20-song set includes lots of Big Star faves, along with covers of T. Rex, the Kinks, Todd Rundgren and others. The lineup consisted of Alex Chilton, Jody Stephens, and Jon Auer and Ken Stringfellow. They took the stage at the New Daisy Theater on October 29, 1994. Strangely, it was advertised as their "farewell U.S. performance," even though they continued to perform until Alex Chilton's death in 2010. This second life for Big Star begins on April 25, 1993, in Columbia, Missouri. The performance gets recorded and released. We now have a record to support and a reason to tour. A handful of dates far and wide followed, but then an offer came from the New Daisy to play Memphis. Pretty exciting! Walking into the New Daisy that night brought on a rush of '70s friends I hadn't seen in years. So much support there from well-wishers, which included John Fry and my parents. Stepping onstage that night in Memphis with Alex, Jon, and Ken was an incredibly good time and a bit of magic. It wasn't so much that we were playing to the audience as we were sharing the music with them, and they were sharing themselves with us. We all cared. The film was directed by Danny Graflund. In addition to being released on DVD, the concert will be available on CD, double LP and digitally. See the tracklist below, but note that "Fire" isn't included on the DVD. The first 1,000 records will be pressed on coloured vinyl, with black following after that. There have been some recent screenings of the film. Scroll past the tracklist to watch a trailer.